Supplying the brewing industry for over 130 years with innovative glass packaging, Croxsons is leading the way in lightweight beer bottles. Offering both standard and bespoke solutions, brewers of all sizes are catered for. Operating in 5 countries, the company is still family owned and run and still working for you. Self adhesive label manufacturer, Label Apeel has worked alongside the beers wines and spirits sector for 26 years, providing labels for businesses of all sizes. Renowned for reliable, quality production and great design, Label Apeel also offers a free design service to help products sell themselves onto the shelves of shops as well as off them. SPAsoft is a company largely dedicated to the production of Computer software for Breweries. We have ‘packages’ for Brewery Management, standalone Cask Tracking and Beer Production, as well as some more specialist ‘brewery’ systems, for example we designed and support the Kegwatch SPA-trak site and look after Andy Thompsons ECasks. Lallemand, producers of the award winning Nottingham dried ale yeast, are the industry leading specialist in dried yeast and yeast nutrition. Lallemand dried yeast present brewers with a genuine alternative to propagated and ready-to-pitch liquid yeasts, giving increased flexibility and guaranteed fermentation performance every time. Graphic design company specialising in the licensed trade. Designs and creates brochures, leaflets, posters, web-sites and corporate magazines for brewing companies, pub groups, wholesalers and drinks distribution companies throughout the UK. 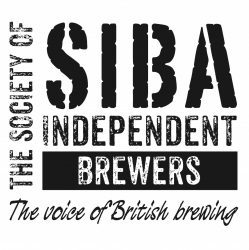 Producers of the SIBA Journal.